The 188 islands of French Polynesia are some of the most popular vacationing destinations in the world for a good reason – their breath-taking natural beauties coupled with top-notch tourist services turned it into an epitome of a tropical idyll. If you are dying to have a taste of this Pacific paradise, here is everything you need to know about traveling to French Polynesia. This dreamy island group that consists of five archipelagos can appear to be, to the casual traveler, closer to Australia, yet it is actually halfway between the Land Down Under and California. Its most well-known (and in a way, representative) island is Tahiti. Some of the islands are volcanic and others appear to be standing on coral reefs. The flora and fauna are very rich and you can still find islands in French Polynesia that were barely touched by human hands. Since this is a French overseas territory, the official language is French and the main currency is Franc Pacifique. French Polynesia, as such, has a capital city – Papeete – which is the largest urban area on the archipelagos and it is located on Tahiti. The climate is tropical and very humid. The temperatures are mostly on the moderate side of summer-hot – around 27°C. Here is a bit of good news for people who cannot travel at any specific time due to work and other obligations – temperature is mostly stable throughout the year. You should only watch out to avoid occasional cyclones during the month of January. Interestingly enough, there is a long list of countries that do not need to secure visas for their citizens if they want to travel to French Polynesia. For further details about this, take a look at the specific information here. 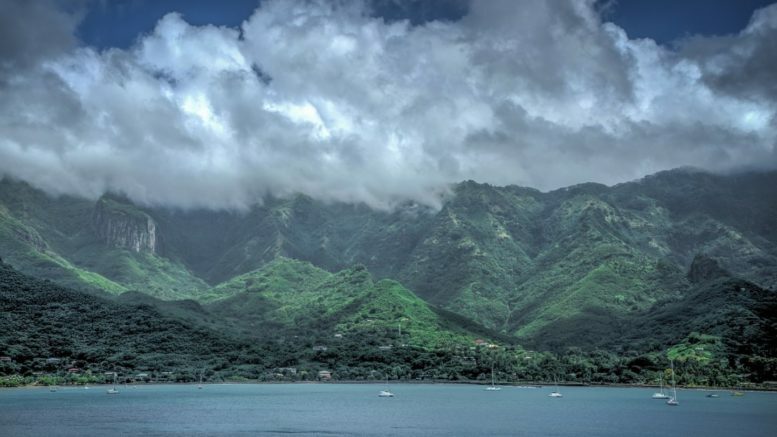 Most of the foreigners will arrive via airplane and touchdown on Faa’a International Airport, which is located in a lagoon around 5 kilometers from Papeete. Tahiti then offers domestic flights to other hot locations. Of course, cruise ships are regular visitors of the Tahiti ports, so many people get introduced to this wondrous part of the world through their adventures on the high seas. On your way from the airport to the city, you’ll see some major hotels from the globally known brands, like InterContinental. However, many people opt to rent a room, a house or a hut with a bed and breakfast arrangement, so they’ll have a full experience. 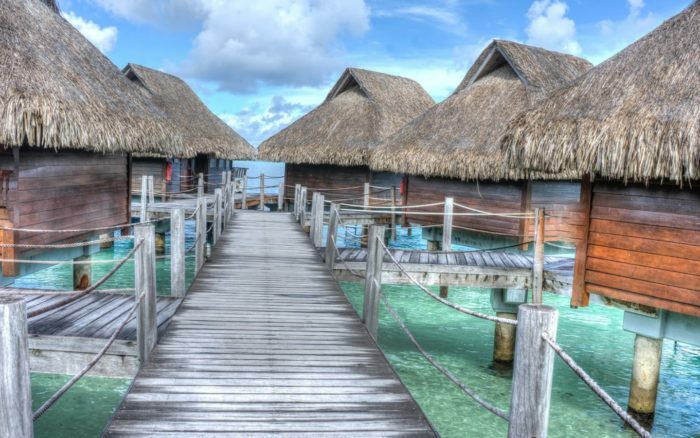 Luxurious resorts like La Meridien in Bora Bora have seized the opportunities provided by the proximity of the turtle nesting grounds and amazing surrounding views to create an immersive experience for their guests. All in all, the service is amazing and people are very pleasant. Residents of French Polynesia are mostly disarmingly relaxed, but you have to keep in mind, they are also very proud of their culture and the islands. Try to stay respectful and do not give them a reason to feel inferior to you. The official language of the region is French, and residents tend to mix it with Tahitian words and expressions. 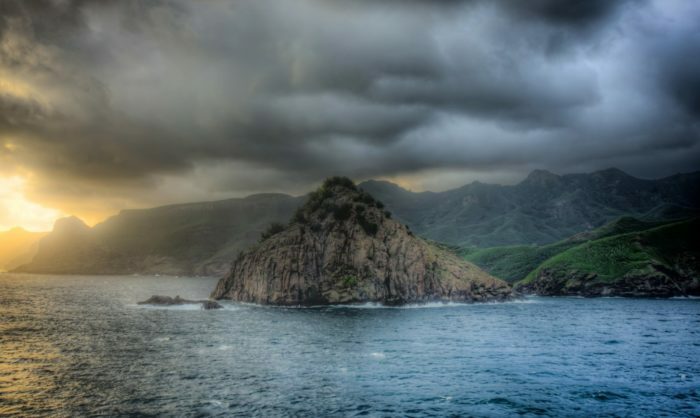 Some of these phrases are very useful to know if you plan to travel around the islands. English is mostly spoken in tourist areas, so it’d be smart to arm yourself with a traveler’s dictionary. The best way to save money when it comes to transportation is to use a bicycle on the islands. It is even a more logical vehicle to cross the rugged terrain than a car due to its flexibility and size. Bring along your own snorkeling gear if you own one to avoid steep rent prices. Furthermore, booking a package trip during the off-season is the best way to shave off some pricing – this is between November and May, excluding the Christmas holidays. Finally, be street smart and buy tasty grub in portable food wagons known as Les Roulottes. The food is just as healthy as the one in restaurants, but it is much cheaper. French Polynesia is a treasure trove of gifts that keep on giving. The islands cover about 7,000 square kilometers of spectacular sights which include grand volcanic peaks, magically hidden coves, vibrant and irresistible shallows and amazing accommodations. This is truly an exciting corner of the world where you can get lost and forget about your work and everyday obligations, at least until you board the plane home. 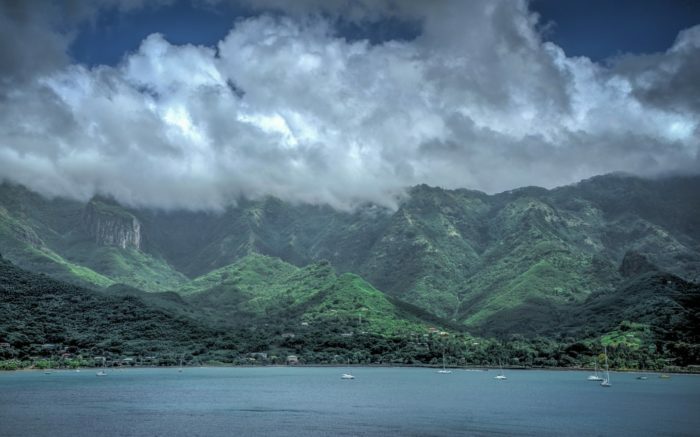 Be the first to comment on "Everything You Need to Know About Traveling to French Polynesia"